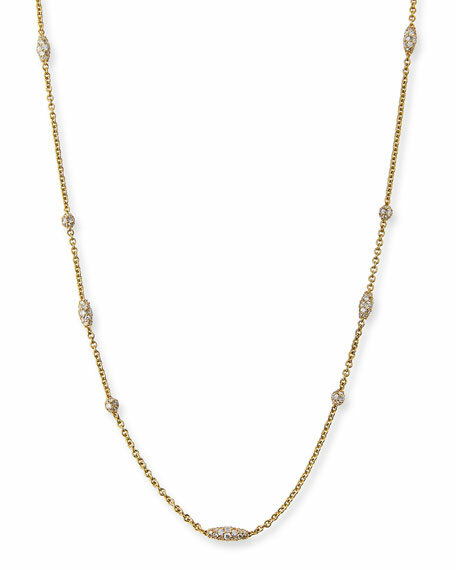 Paul Morelli Pipette 18K Diamond Station Necklace, 36"
Paul MorelliPipette 18K Diamond Station Necklace, 36"
Paul Morelli pipette station necklace. Round and marquise-shaped stations with pavé white diamonds. 9.54 total diamond carat weight.